The Wild Jämtland project was created in 2014 by Bo Kristiansson and Persson Invest Skog. With Bosse’s wilderness experience and the land owned by Persson Invest Skog, we offer you a different type of nature experience. With us, you have a chance to see brown bears and other predators from your comfortable, safe hideout. Owls and other birds use the many nests placed all over the grounds. Wild Jämtland has received permission from the Jämtland County’s Administrative Board to bait for the purpose of wildlife viewing. Since May 2018, the project is run by Evelina and Roger Åslund Bäck. 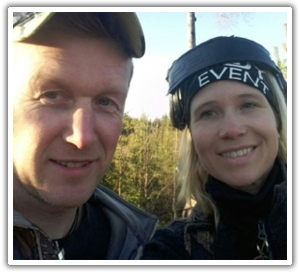 Evelina and Roger are both entreprenuers and enthusiastic about animals and nature and have been running their own separate natural tourism companies for several years. Now they look forward to crossing their knowledge and experience, to be able to offer our guests truly beautiful natural experiences, focusing on the Swedish brown bear. 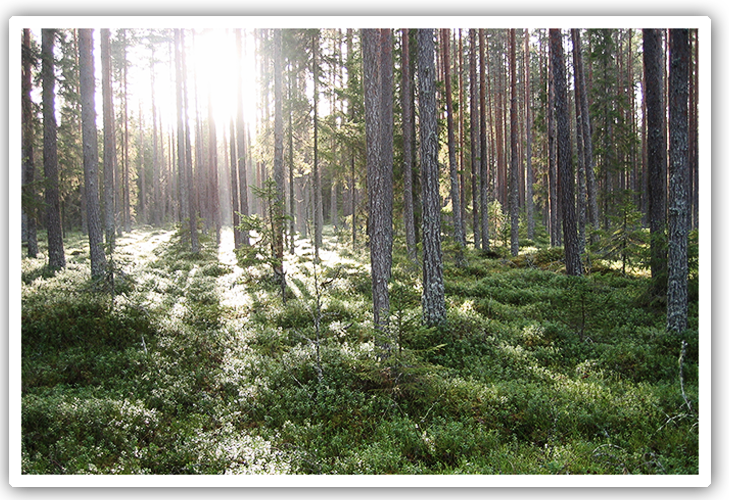 Persson Invest Skog administers AB Persson Invest’s forest assets in the province of Jämtland, about 100,000 ha. Persson Invest Skog has been conducting forestry for a long time. Their work provides a good revenue, preserves the biological diversity, and offers a safe working environment. The forest assets of the company are PEFC certified since 2003. 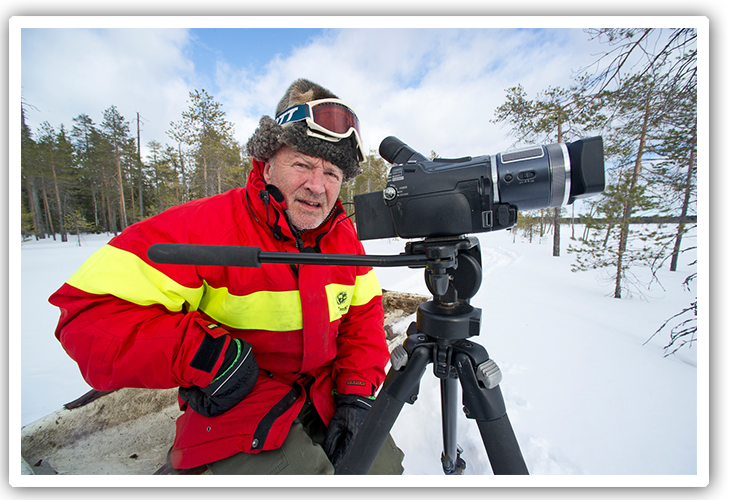 Nature photographer and cinematographer Bosse Kristiansson Bosse was originally a birdwatcher, but has also has a genuine interest in all animals in nature. For 25 years Bosse was also involved with Lassi Rautianainens bear hideouts in Finland. After years of travelling, Bosse was shifting focus back to his home and Wild Jämtland. He said numerous times during the summer of 2015 that he could never have dreamed that we would have so many different bears passing our hideouts. Unfortunately Bosse passed away in December 2015, but his ideas live on with Wild Jämtland. He is dearly missed.